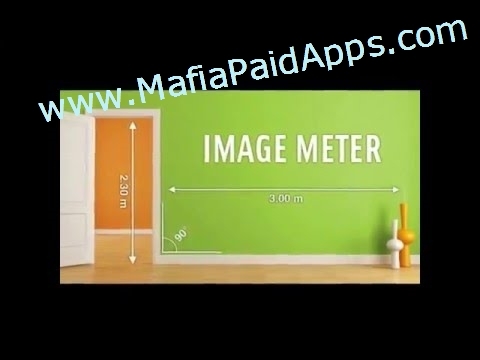 ImageMeter lets you measure dimensions, angles and areas in your photos with ease. No more need to draw a sketch of your apartment or furniture. Simply take a photo and annotate it with the dimensions on your phone or pad. ImageMeter has the broadest support for Bluetooth laser distance measurement devices. Most devices from Leica, Bosch, CEM, Hilti and TruPulse are supported (see below for full list of devices). What is also special about ImageMeter is that it enables you to measure within the image long after you took the photo. It often happens that after taking the image, being back at home or in the office, one realizes that some important distances have not been measured. This is no problem anymore with ImageMeter, because it enables you to measure the missing lengths directly from the images, afterwards. Additionally, with this feature, you can also easily measure at places which are too difficult to reach. This works whenever the objects you want to measure are within a plane (even if it is only virtual) and if you can provide a reference rectangle for ImageMeter. ImageMeter will take care of all perspective foreshortening and still measure correctly. You can also have as many measurement planes in one image as you like. - Bluetooth connectivity to laser distance meters for measuring lengths, areas, and angles. - TruPulse 200 and 360. - no watermarks in your exported images. emails and help you resolve problems. At this place, I'd like to thank all users for all the positive feedback I get. Many of your proposals have already been implemented and improved the app a lot, and many ideas are waiting to be included in the next versions. Let me assure you that all of your proposals are considered, as my goal is to make this app as good as possible to improve your productivity.